Chris Cornell brings his sold out acoustic tour to Chicago's Vic Theater this Friday. Insider word is they have one more limited batch of tickets to release between now and the show, so if you're still trying to score tixs, check the Vic's website early and often. All ages welcome. VIP Lounge backstage at Lollapalooza 2010-Wolfmother & Soundgarden-The music was amazing & we were all lovin' the ice cold, minty neck wraps in the August heat! We've grown up with Soundgarden, Audioslave and Chris' solo work and it's been great introducing his music to our kids. In fact, when Soundgarden played Lollapalooza 2010, both kids were back stage for the show. Speaking of Lolla...we've mentioned it already this year, but tickets are on sale already and goin' fast. Don't miss the 20th anniversary this August! Click HERE for the 2011 Lolla line up and ticket info. 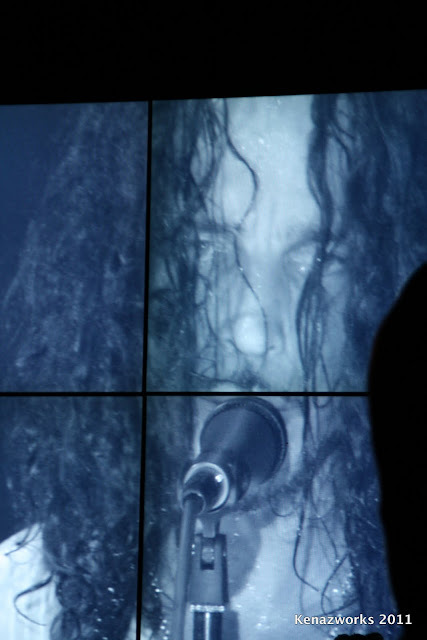 Check out Chris Cornell's main site HERE and catch him live at The Vic if at all posssible. This is one show you don't wanna miss! Follow Chris on Facebook and Twitter as he has his own adventures on tour with his young son, Christopher.